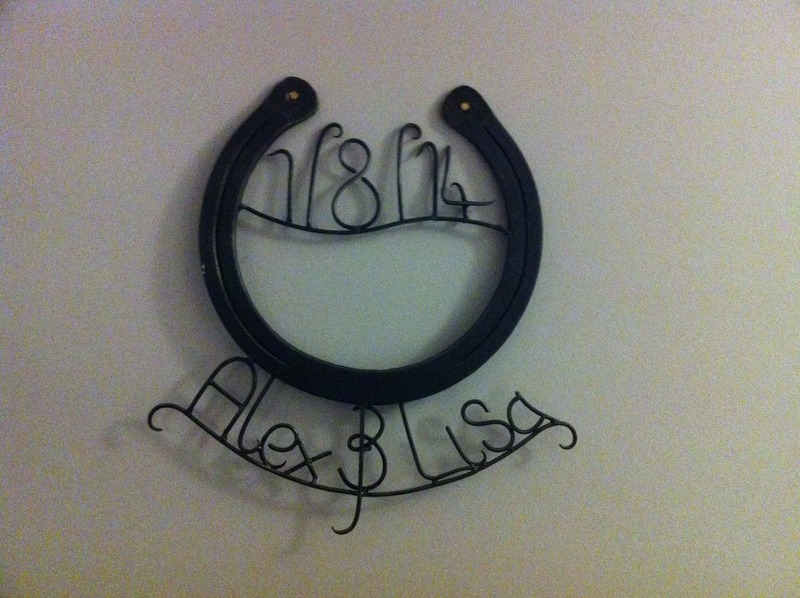 Are you looking for unique personalised wedding gifts? If so, look no further. 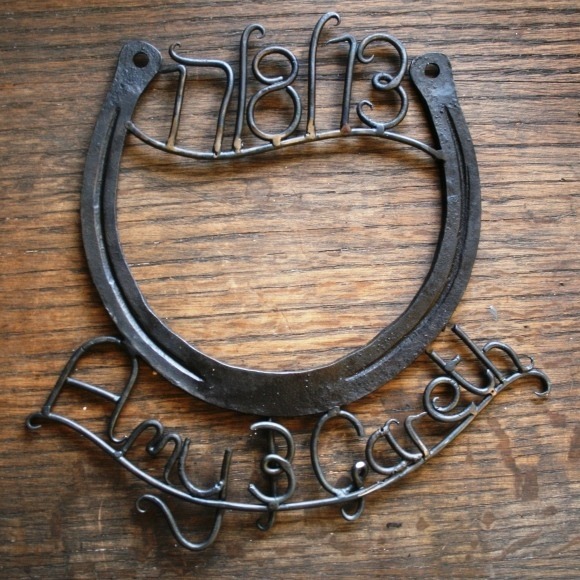 West Country Blacksmiths made these beautiful personalised horseshoes as a true everlasting gift to commemorate a couples wedding day. Category: General Items and Gifts. Tags: horseshoe, wedding gift. 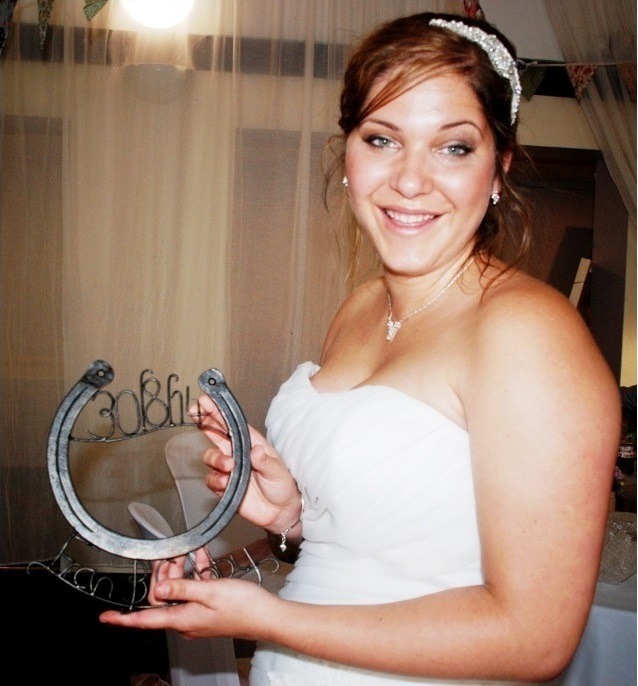 Horseshoes have been a part of weddings for centuries, as they are thought to be bring luck to the marriage of the happy couple. 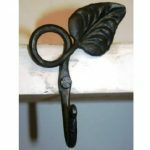 West Country Blacksmiths have taken this tradition and developed it into producing these beautiful pieces. 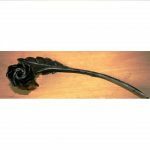 The horseshoes and wording are all individually forged from iron and finished with a traditional beeswax finish which is applied by heat treating the metal and melting locally sourced beeswax onto the face of the metalwork to produce a protective layer on the steel. This finish protects the metalwork for internal use and can be easily maintained in the long term with general household furniture polish or liquid beeswax which is easily available in supermarkets and hardware stores. The maximum word length of the name of the marrying couple is 18 letters. We plan to make and send these items within two-three weeks but we will ensure that the item is received comfortably before the wedding date on the gift and once ordered, we will send a confirmation within 24 hours. The price for this item includes vat, packaging and postage.